BECCA Shimmering Skin Perfector Pressed in "Moonstone"
The Alpha H Liquid Gold is a replacement as I received a free one in my last Adore Beauty order (here) and fell back in love with it. I still have some left, but thought while they had 15% off Alpha H, that it would be a great time to stock up. I also bought the blemish gel but didn't realise that it has salicylic acid in it and can't use it while breast feeding (I had baby brain while pregnant and I STILL have it nearly 4 months later!!). When you purchased 2 or more Alpha H products, you got a free Alpha-H Discovery Kit as a VIP Gift With Purchase. I love these kits as it's a great way of trialling their products without wasting money on a full size version. I can't begin to tell you how much I love the Evo brushes. Other than looking beautiful, they're wonderfully made and are great quality especially for the price. All of the Evo brushes are under $50 as well! I now want every single brush that they have! What really surprised me was the teasing brush. If you have flyaways or baby hairs around your hairline, then you need this in your life. It's wonderful for taming them. 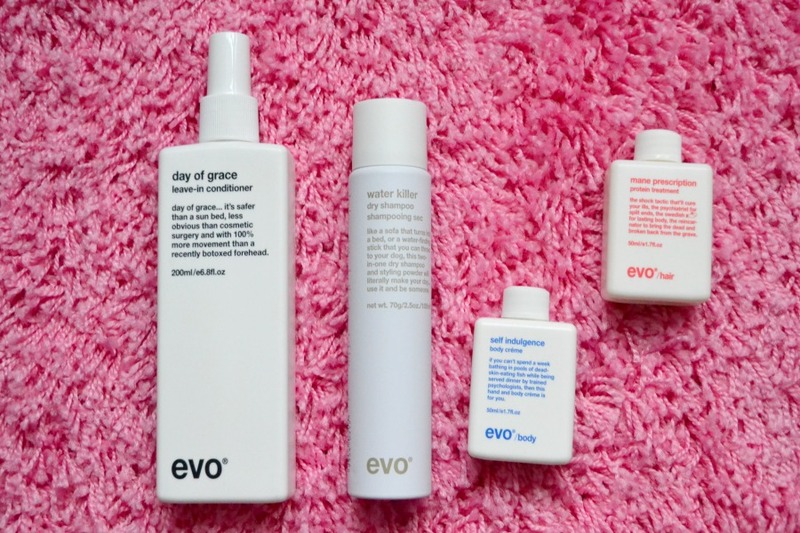 Evo had a GWP when you bought 2 or more products and there was a travel size dry shampoo, protein mask and a body cream in the pack. You might have noticed that I have 2 combs. 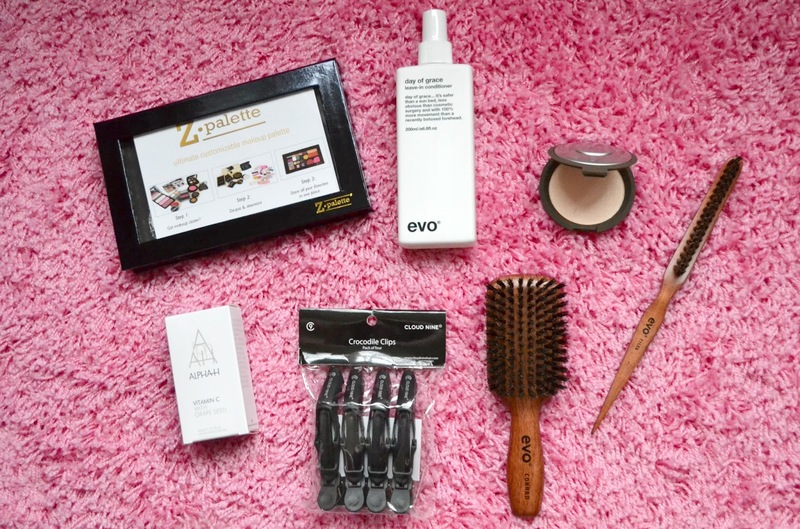 The Evo one is for the shower so I can use it for my daughter and the Kevin.Murphy one is for me to style my hair. The Evo one was only $5 so it made it worthwhile to order it so I'm not constantly having to bring it from my room to the bathroom and back everyday. I bought a Benjabelle Mini Brush Tree from Lipstick Republic because I thought that it would encourage me to wash my make up brushes more often, rather than washing them every 2-3 weeks because I've run out of clean brushes! 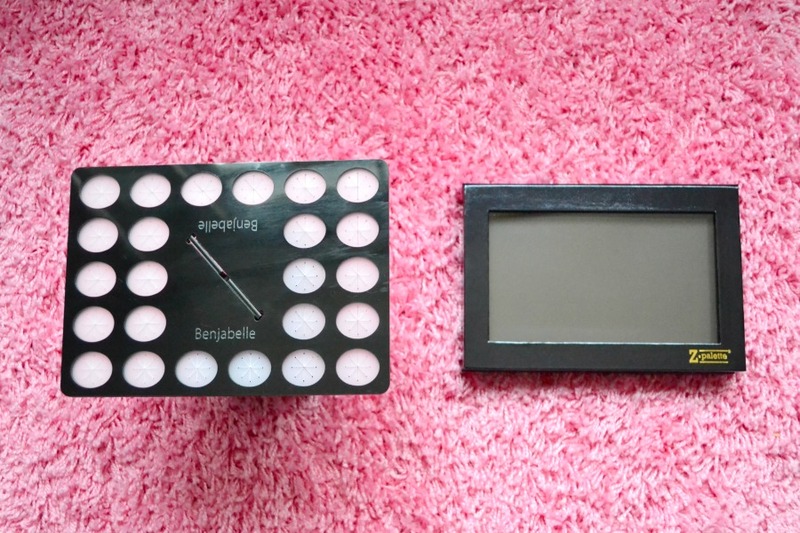 I really love it and want to buy a larger version for my face brushes. 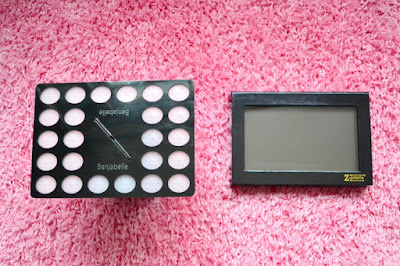 I also bought a Double Sided Z Palette so I can shrink my stash. I haven't yet gotten around to depotting my individual eyeshadows and blushes as I haven't had enough time to be able to do it all in one go. And finally because I haven't bought enough (sarcasm!!) 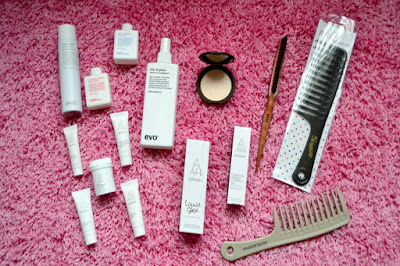 I also bought some goodies from Alive Skin + Hair when they were having their Click Frenzy sale. 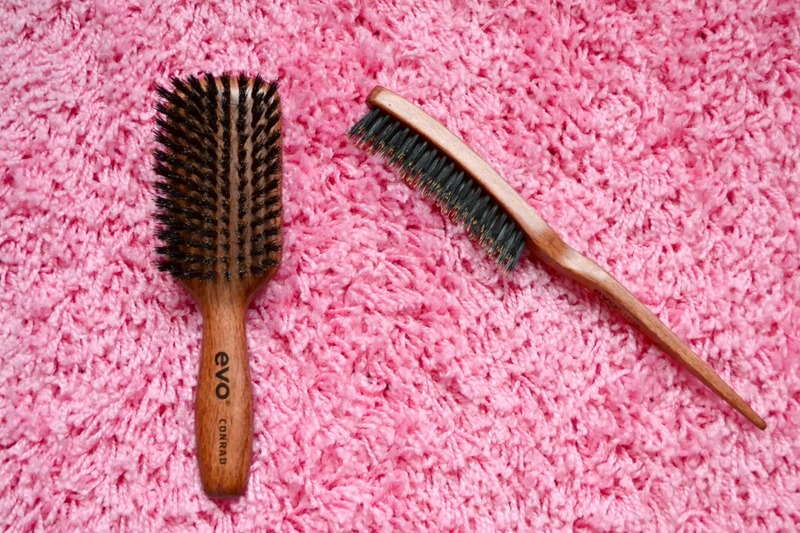 I loved the Evo teasing brush so much that I ended up buying the Conrad paddle brush. I ADORE this brush. It's a cute smaller brush that helps to smooth my hair. If you're interested in buying any of the Evo brushes, then I would suggest buying them from Alive Skin + Hair here, as they're cheaper than Adore Beauty. Catwalk actually have them cheaper, but I've never bought from them before so I can't recommend their service. I'm currently using the Obagi vitamin c serum (which I've mentioned here) but bought the Alpha H Vitamin C serum because it was on sale. They had a 30ml with a free 15ml on sale for under $70 when a 30ml is $99. 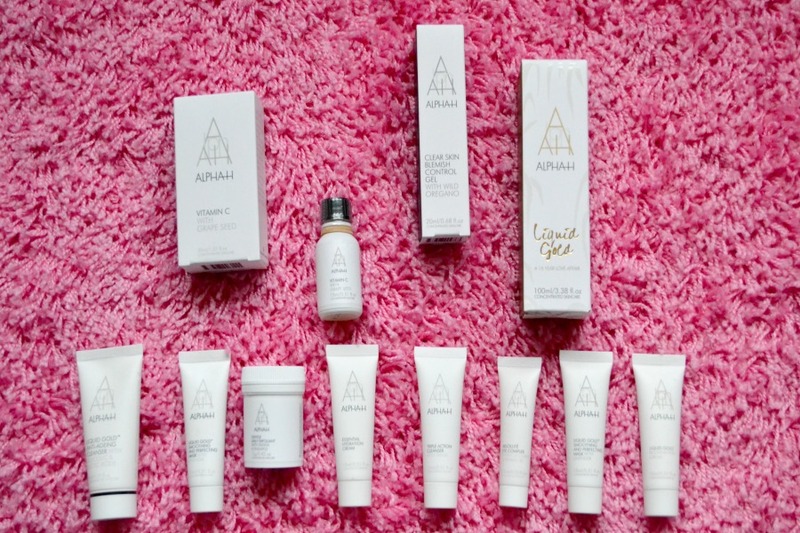 They also had an Alpha H GWP on which made me decide to pick it up now rather than next month when I've finished the Obagi serum. And finally I got around to purchasing some hair clips as I've been meaning to buy them for so long. I wanted them to use when I'm either blowdrying or curling my hair or for when I've got a hair treatment in and am wanting my hair out of the way. Now excuse me while I go and throw my bank card in the fire! Did you purchase anything from the Click Frenzy sale? PS Alpha H have just changed their serums from 30ml to 50ml without increasing the price. A few online stores have the 30ml version on sale to make way for the new packaging, so keep an eye out for some good bargains! I didn't buy anything during Click Frenzy, but I wanted to so badly! I've tried that evo leave-in conditioner before, can't say I'm all that fussed on it - I think it left my hair feeling dry (although not using conditioner for a while & using a mask as a conditioner substitute didn't help either). Maybe you'll have better luck than me. Their brushes look fab though! 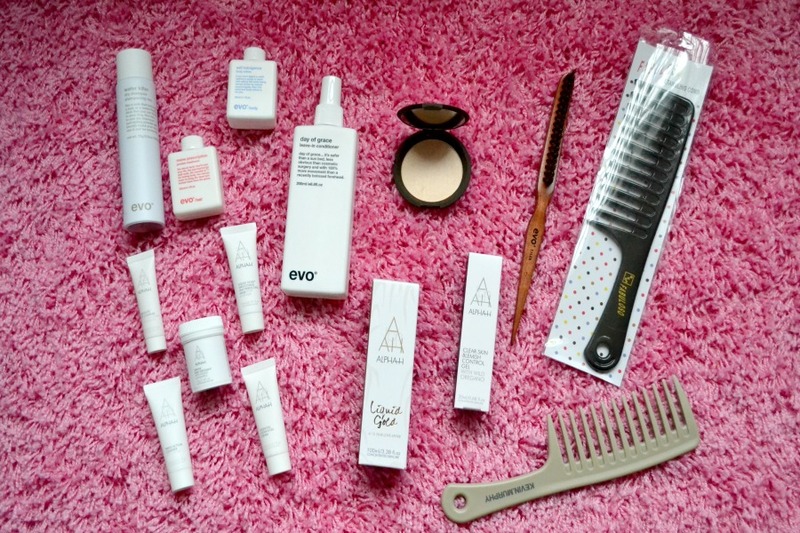 Thanks for the link to Alive Skin & Hair - just noticed they sell bhave products at cheaper prices than salons, shall keep them in mind when I want to stock up on the shampoo & conditioner/buy more stuff from them. Ohhh I love bhave!! Their Rescue shampoo & conditioner is amazing. It's always the one that I go back to.